b. The following specific leaders are authorized to wear the leaders identification insignia. (11) SF operational detachment "B" sergeants major. (12) SF operational detachment "A" senior sergeants. (ECWCS) (Gortex) parka. When the LI is worn on the parka, personnel wear their grade insignia centered on the LI. the collars of the utility uniform (see fig 28-137). above, or when taking an official photo. Originated in the European Theater of Operations in June 1944, when it was authorized for wear by commanders at all levels from Squad to Army. It was authorized for wear by other officers and NCO's whose role in combat required them to exercise the function of command. 2. The army is an expeditionary force that challenges our leaders army-wide to remain vigilant and committed to lead, support, and together win the global war on terrorism. These warfighters are best served by recognizing their skills, courage, and commitment in fighting today's unconventional war. 3. 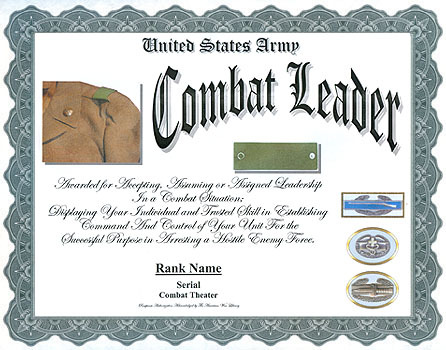 To this effect, the current policy of combat arms (CA) soldiers wearing the combat leaders identification insignia on the uniform is expanded to include leaders of combat support (cs) and combat service support (css) units. additionally, based on these new combative roles our leaders engage in while in the "fighting field" (whether in conus or abroad) the cli insignia requires an alignment in its name to identify today's leaders as unconventional warfighters. to this effect, the insignia currently known as the cli is renamed as the "leaders identification" insignia. 5. 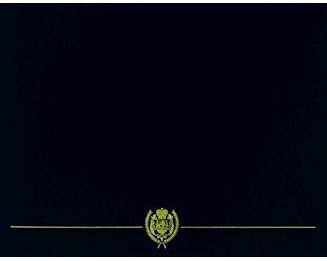 The new policy is in effect upon the leaders' ability to procure the insignias; however, mandatory wear date of the leaders identification insignia on the uniforms listed above is nlt 11 Sep 04. This change does not revoke previous authorizations during previous wars.